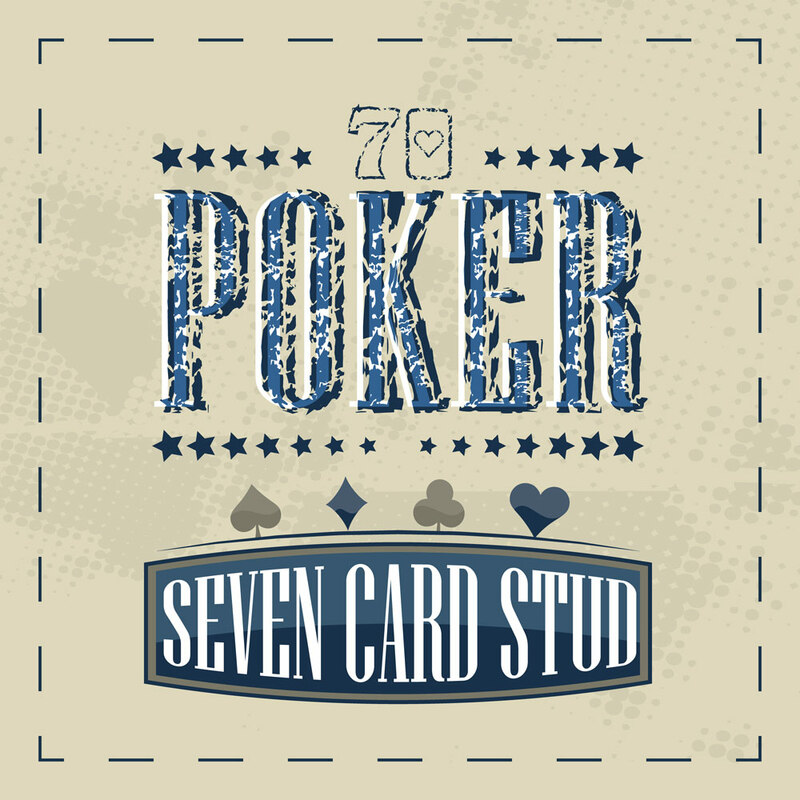 7 Card Stud used to be the most popular form of poker played in the world before the popularity of Texas Hold’em and Pot Limit Omaha exploded and took over the scene. Due to its long historic past and high pedigree, it is still regarded by many poker players as a more pure form of the game. It is also a harder game to play than its more popular cousins with more card playing skill involved which has attracted comparisons to games like Gin and Bridge. All poker enthusiasts are recommended to give 7 Card a try and at least be familiar with the rules as it is one of the most popular poker alternatives and knowledge of the rules opens up more online poker mixed games like 8 Game. Here is a simplified version of the 7 Card Stud rules to get you started. First off the object of the game, like all poker, is to win the money from the pot, which is made up of your opponents’ bets. To win the pot the player with the best hand is the winner, and this hand is made up of a five card combination. During the deal, each player at the table is dealt two cards that remain face down for now and one card that is face up. Cards are dealt in a clockwise direction one at a time. After the deal players have the chance to bet, check or fold. Next, the players that remain in the hand are then dealt three more cards face up, and another card that is dealt face down. After this deal, there is another round of betting opportunities. Finally, the showdown. Here each active player flips over all of their hole cards and chooses their five best cards from the seven they are holding. The two unwanted cards get discarded and cannot be reclaimed even if a better combo could have been made. One of the most obvious differences is that there are no community cards as in Hold’em. Blinds are not used, alternatively ante and a bring in is used instead. Every betting round in 7 Card kicks off with the player who is holding the best starting hand, with the exception of the first round – then the card that is lowest up starts off. This also means that before the cards are dealt there is no advantage in relation to the position and it is down to the cards themselves to determine first and last action. Another obvious difference is that there are five betting rounds in 7 Card rather than Hold’ems four. Here is a ranking of winning hands in 7 Card. Five of a Kind – This hand is possible when using wilds. So a potential hand could be four queens and a joker. Straight Flush – When using a normal pack of cards and no wilds this is the highest hand possible. Full House – As normal this is three cards the same plus two other cards the saem, eg. three Jacks and 2 Kings. Flush – This is any five cards of the exact same suit. Straight – When you have five cards in a row but which aren’t all of the same suit. No Pair – If no one has a higher hand than this then whoever has the highest card wins. One of the most important aspects of the game is selecting the best starting hand so try and be as selective as possible. Try not to call without a very good reason, instead, either raise the pot or just fold. Keep an eye on the up cards so you can remember which of the crucial cards have gone or are still in the game. This is a skill that will definitely improve with practice and dramatically increase your win rate. Always get to know the other players and play them. Try and work out who are the calling stations, the bluffers, the loose, and the tight players.